According to the Bible King Solomon was a wise and prudent ruler whose exploits made him a folk-hero to his people and a great leader among nations. He was cele-brated in story and song throughout the length and breadth of his kingdom. Our 'King' Solomon Burke is almost as revered by his legion of ardent admirers through-out the world. If you have ever seen him perform in person, you have learned the meaning of the word soul. To hear King Solomon sing a soul ballad and to watch the tears fill his eyes is a moving and tre-mendously satisfying experience. 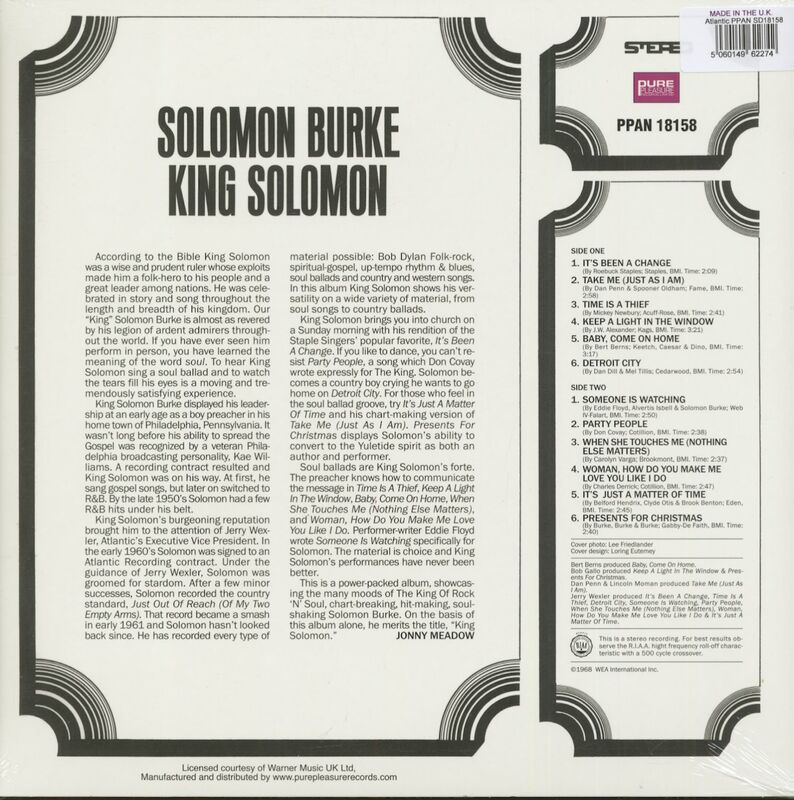 King Solomon Burke displayed his leader-ship at an early age as a boy preacher in his home town of Philadelphia, Pennsylvania. It wasn't long before his ability to spread the Gospel was recognized by a veteran Philadelphia broadcasting personality, Kae Williams. A recording contract resulted and King Solomon was on his way. At first, he sang gospel songs, but later on switched to R&B. By the late 1950's Solomon had a few R&B hits under his belt. King Solomon's burgeoning reputation brought him to the attention of Jerry Wex-ler, Atlantic's Executive Vice President. 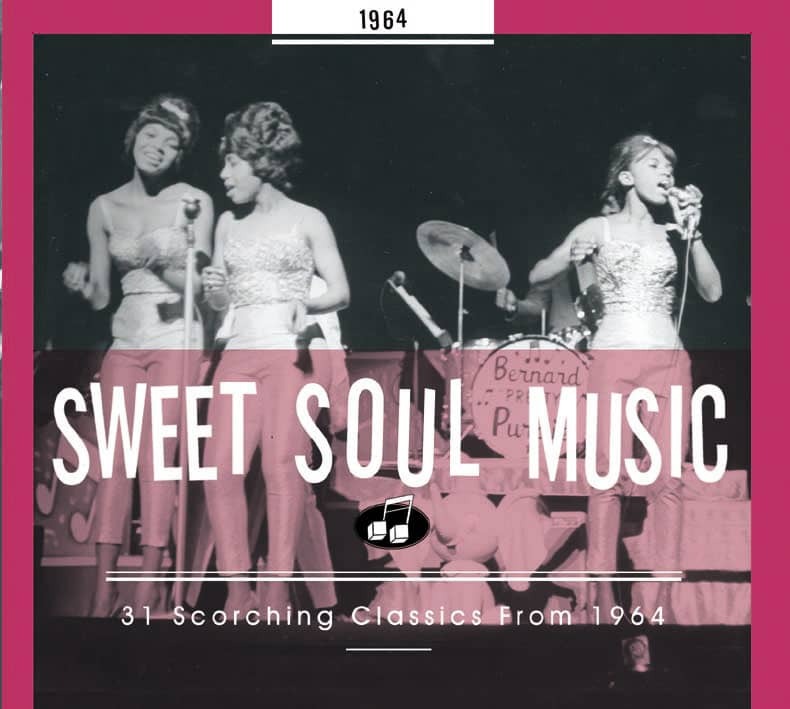 In the early 1960's Solomon was signed to an Atlantic Recording contract. Under the guidance of Jerry Wexler, Solomon was groomed for stardom. After a few minor successes, Solomon recorded the country standard, Just Out Of Reach (Of My Two Empty Arms). That record became a smash in early 1961 and Solomon hasn't looked back since. He has recorded every type of material possible: Bob Dylan Folk-rock, spiritual-gospel, up-tempo rhythm & blues, soul ballads and country and western songs. 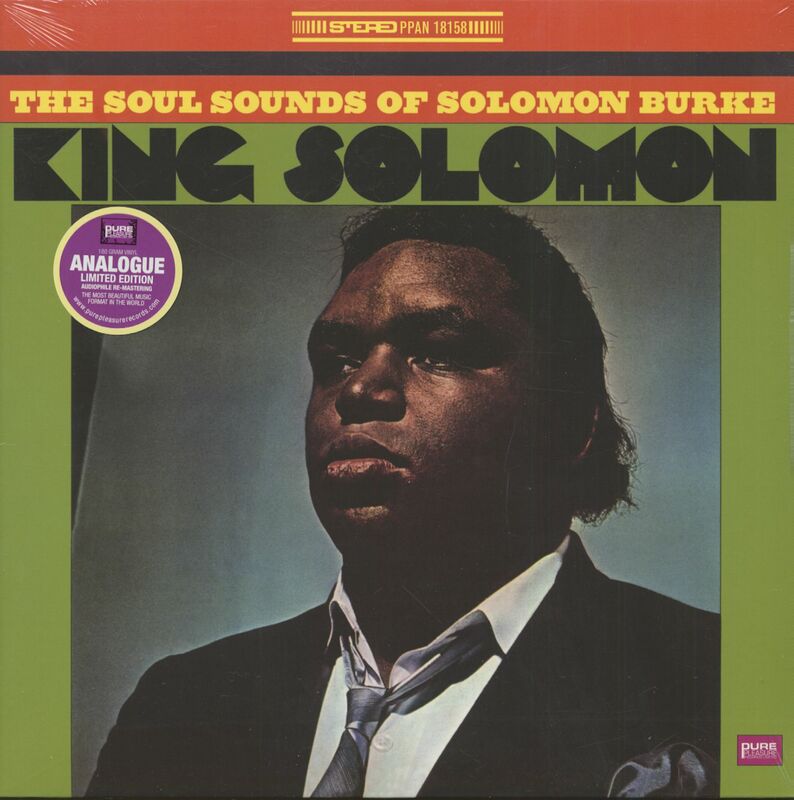 Customer evaluation for "King Solomon (LP, 180g Vinyl)"